MX330 PIXMA Photo Printer performed in the combination of gray and black. 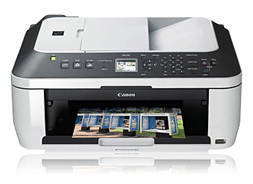 LCD screen located on the front of the printer can display preview of images to be printed. Control panel with a wide variety of buttons and LED lights seem sophisticated and complicated, especially for the novice user.